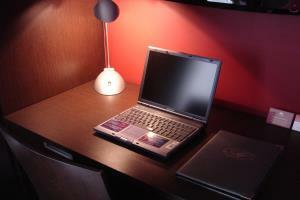 Ideal for business traveler or couple. 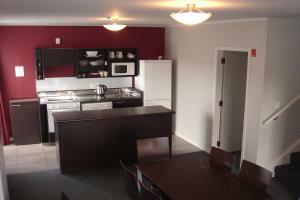 Own kitchenette with a cooktop, microwave and fridge. 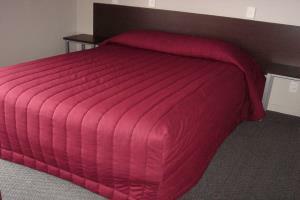 Queen bed with the option of an additional single bed. 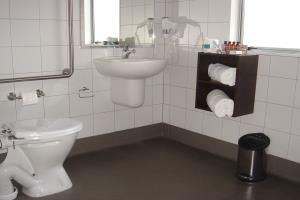 Bathroom includes shower suite. Ideal for business traveler or couple. 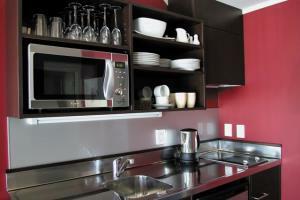 Own kitchenette with a cooktop, microwave and fridge. Queen bed with the option of an additional single bed. Bathroom includes shower over spa bath. 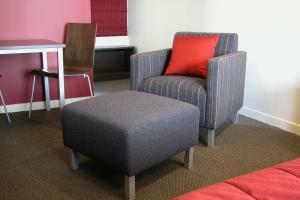 Ideal for business traveler or couple. 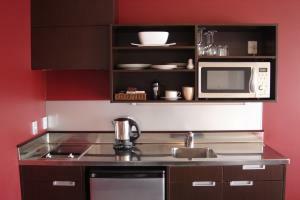 Own kitchenette with a cooktop, microwave and fridge. 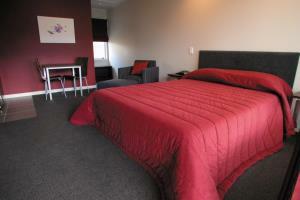 Queen bed with the option of an additional single bed. 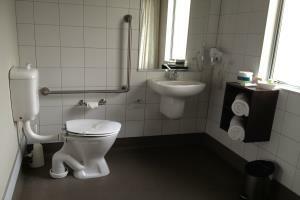 Bathroom includes accessible shower with fold down bench seat, raised toilet and hand rails. 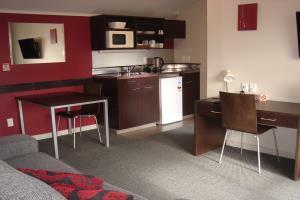 Luxury one bedroom unit in level one. 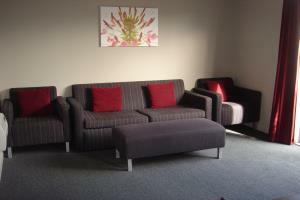 Separate lounge/dining area with sofa bed and kitchenette facility. 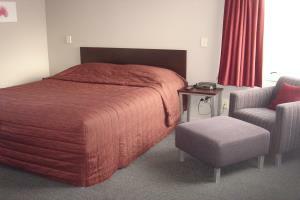 Separate bedroom with queen size bed and second television. 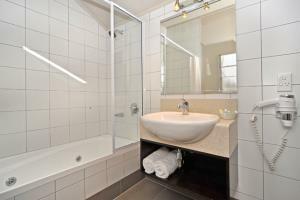 Ensuite with shower over spa bath. Ground floor 1-bedroom unit. 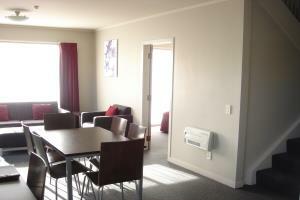 Separate lounge/dining area with sofa bed and kitchenette facility. 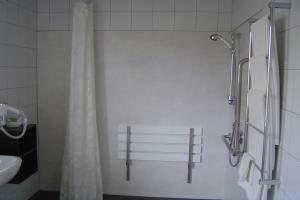 Open shower with fold down seat bench, hand rails, raised toilet and extra wide sliding door to suite wheelchair access. 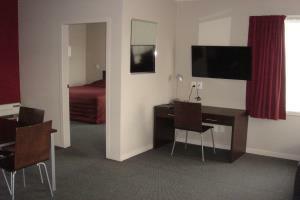 Separate bedroom with an additional single bed on request. Second television in bedroom. Designed for small to medium sized family. Master bedroom with queen bed having the option of an additional single bed. Bedroom 2 has twin single beds. 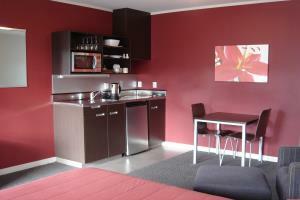 Kitchenette facility and lounge with sofa bed. Designed for small to medium sized family. Master bedroom with queen bed having the option of an additional single bed. Bedroom 2 has queen bed. 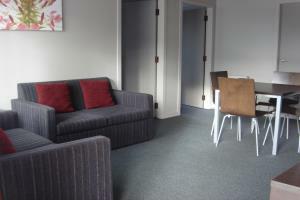 Kitchenette facility and lounge with sofa bed. Designed for larger groups or family, this double storey apartment features 2 bathrooms and fully equipped kitchen and dishwasher. 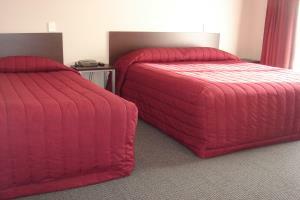 Master bedroom is downstairs with a queen bed, second and third bedroom is upstairs and has twin single beds in each. 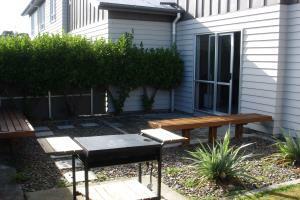 Outdoor private patio area can be accessed via lounge ranch slider. 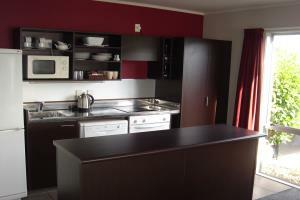 Designed for the larger group or family, this double storey apartment features full kitchen facility with dishwasher and 2 bathrooms. 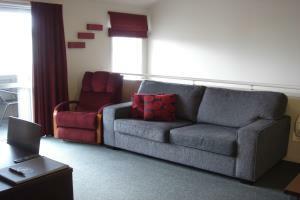 Master bedroom is on ground floor and has queen bed with option of an additional single bed, second and third bedroom is upstairs with one queen and 3 single beds. 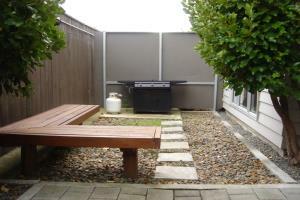 Private outdoor patio can be accessed via ranch slider in lounge.